Ctrl + F Open find window for current document or window. Ctrl + S Save current document file. Ctrl + P Print the current page or document. 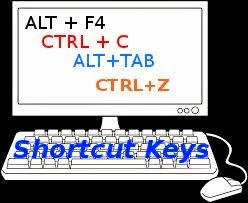 Ctrl + Right arrow Moves one word to the right at a time. F1 Universal Help in almost every Windows program.